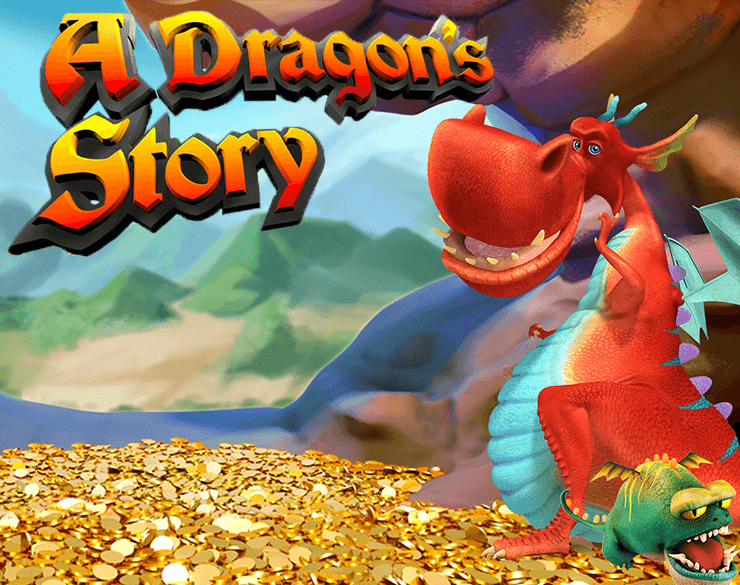 Begin your quest as a fearless dragon who must protect a gold-filled lair with everything he’s got. 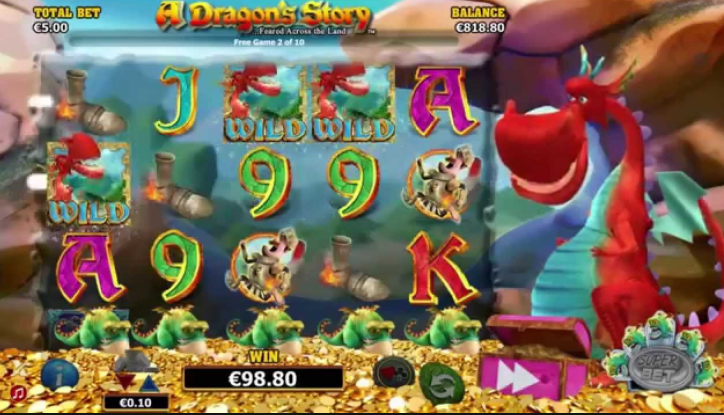 Joined by many other smaller dragon companions traverse your way through this enchanting 5 reels online slot game at Wizard and try your hand at winning the £125,000 max win. London’s own signature game developer Nextgen Gaming is known not only for their deep-rooted passion for creating unforgettable slot games experiences but also ways in which to also push themselves forward within an industry that has thousands upon thousands of titles. It’s not often that you end up rooting online slot best games for the dragon in tales of old. 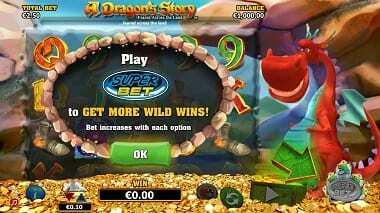 In A Dragon’s Story, you play as the fire-breathing beast in an attempt to win big and find the treasures of gold. This title is a 5x25 online slot, meaning there are plenty of chances for you to come out with some rather interesting payouts depending on just how well you navigate the reels. This game comes with all the classic game features. Free games are available and can award players with even bigger pay-outs where applicable. This dragon actually has a name too, Ruff the dragon is forever chasing the gold. Nextgen has created a great experience, one that is full of adventure and intrigue. Questions such as how did Ruff become so friendly? Immediately come to mind, the answer to that question is simple: to give players some rather cheeky cash prizes! In this tale, a greedy knight by the name of Sir William is after poor Ruff’s gold and it’s up to you to stop him from taking a single penny. Bonuses in this title include wild dragon symbols, jewel scatter symbols, the possibility of multiple free games and much much more! On top of that, you also have an additional super bet mode! This will equal even higher chances to get some even higher payouts! A Dragon’s Story takes place within Ruff’s lair which is very brightly coloured, reflecting the good-natured dragon. Ruff is equally as brightly coloured. Rewards begin with finding the numbered and lettered symbols that can be found around the lair. The symbols featured in this game are believed to be what’s left of his enemies, you could call them souvenirs in a way. Quite a twisted way but I guess when treasures are involved people will go to any length to be drowning in gold. Match 3-5 corresponding symbols to multiply your score between 5/200 times your stake. If you manage to match Sir William, Ruff will multiply your stake 1000x your original bet placed. Not bad for an old dragon! Matching 3 scatters (jewels) will activate a free games feature. This feature has the chance to double your total bet almost immediately. Wilds will substitute for all symbols except the scatter, making the odds of getting free games more of a possibility. Jewels and can win you up to 2,000 times your stake. Keep your eye out for the cute little dragons, these little guys will turn into wilds when matched and will blow fire across the board, great animation for a great game. 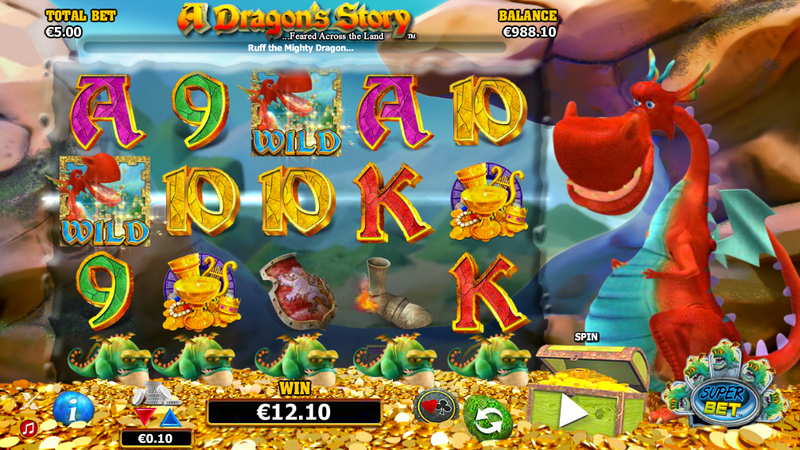 Dragons have existed in folklore for centuries, and although there is no significant evidence to prove that they do exist there are online slot games like A Dragons Tale-telling you otherwise. This game is as fun as it is immersive. Fun slot with an even more fun tale. 9/10 Why don't you also try one of our latest releases - Emoji Planet slot.